For over 30 years Veggies has supported hundreds of campaigns at thousands of events, but we can only do it with your support). Bank transfers may be make payments to ‘Veggies Catering Campaign’ Account No.70902989; Sort Code: 08-90-74 (The Cooperative Bank) and let us know what you’d like your contribution to support. If you have a paypal account and your intention is to send us a personal payment, please use this link https://www.paypal.com/myaccount/transfer/send and use the ‘add-a-note’ option to say what it is for. Note that the following buttons result in paypal fees reducing your contributions, but can be used for credit/debit cards without needing a paypal account. 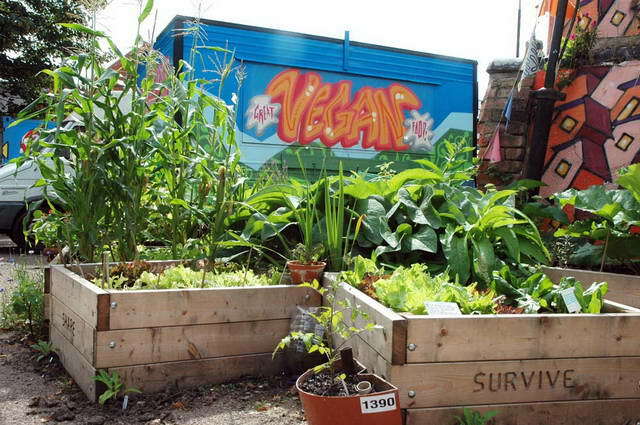 We aim to raise £1105 for the Food for a Future vegan campaign, cookery & workshop space, facilitated by Veggies, in the Green Futures Field at Glastonbury Festival. Any small donation would be most welcome. Please donate to support our other campaigns for humans, other animals and the environment. Our volunteers support three workers sharing one minimum wage and we often end up paying towards our ongoing campaigning expenses from our (very empty) pockets. If you can’t afford to donate, please consider fund-raising for us, or coming out and helping us at an event! If you are able to cover one of these expenses with a monthly or annual standing order that would be particularly helpful. 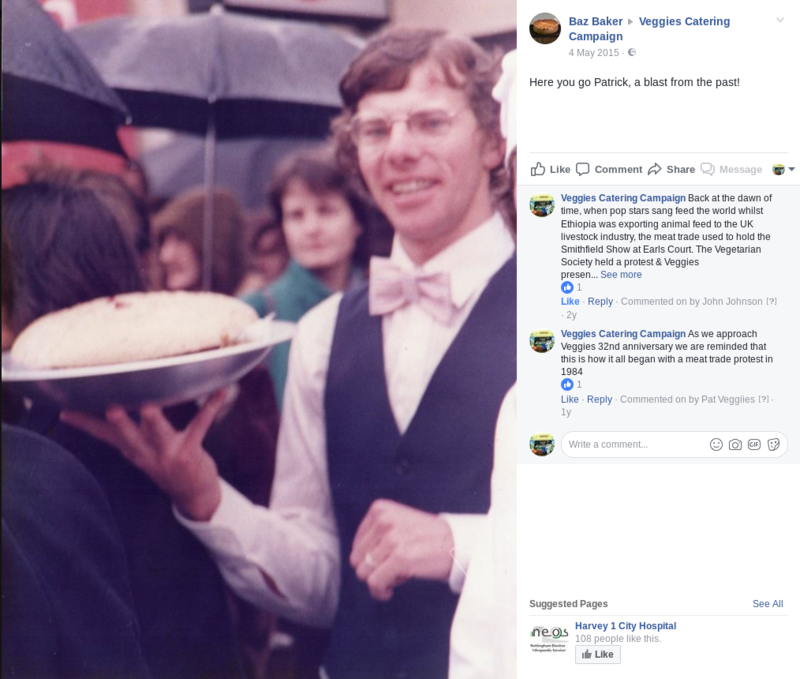 Please ask your bank to make payments to ‘Veggies Catering Campaign’ Account No.70902989; Sort Code: 08-90-74 (The Cooperative Bank) and let us know what you’d like your contribution to support. £48.00 – soup ‘kettle’ for, well soup mainly! £150.00 – second hand netbook – our outreach laptop has fallen apart! Even the price of a cup of coffee would help us get more cups of coffee out to campaigners on the windswept streets. Get animals of the nation’s dinner plates. Every Veggies Burger is one less slice of a cow. The work of Veggies saves over 10 cows or pigs every year! 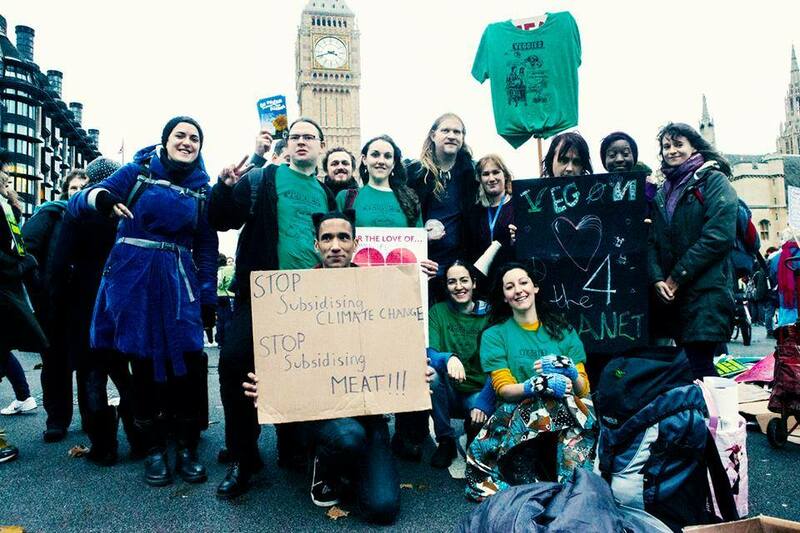 By helping each 100 people eat vegan, Veggies helps save up to 200kg CO2. As a volunteer-led organisation with a mission to make vegan, organic and wholesome foods readily available to all, we run on a much smaller margin than is typical in the catering trade. 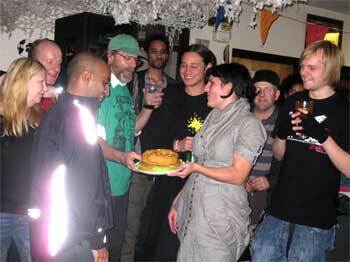 At many campaign events we even cater by donation, chancing that income will cover all the costs involved. We also run Free Food Giveaway events. Whilst most caterers spend perhaps 25-30% on ingredients, we typically spend 60% or more, partly due to the disproportionate cost of ethical and wholesome ingredients, and also due to our commitment to local and independent purchasing. We rarely shop at supermarket chains or mainstream national wholesalers – the resultant higher costs are considered to be part of our campaign funding. If you value affordable, quality, campaigning catering, please support our work with a small donation. Plamil is by far the most ethical choice of soya milk, made in the UK in a vegan factory from organic ingredients; but it costs £2/dozen more than the next most ethical, Sunrise, and £4/dozen more than less ethical brands. A donation of £4 will help us make the ethical choice! With annual maintenance of £450, road tax £205 and insurance £1500, it costs £40 a week to run our van, even if it goes nowhere. However, with our commitment to campaigning against climate change, we prefer to leave it in the yard and do local runs by bike and trailer. We sometimes cater at more distant events by coach, train or car share. A donation of £40 will help us make the ethical choice! We host webpages for hundreds of groups, but have had to remove some older sections of our vast and extensive website to save server costs. If you can help us pay for more server space please donate. Veggies have formed a partnership with The Phone Co-op to raise funds for Veggies Campaigns. Sign up via Veggies you will get a great deal on phone calls, line rental and broadband, whilst Veggies will receive 6% of your ongoing spend on The Phone Co-op’s services. Call The Phone Co-op on 0845 458 9040 or use the service checker at http://www.thephone.coop/veggies to start the process. Quote ‘Veggies’ and the code ‘AF0100’ to receive a £10 credit on your first bill. We need to raise £150 each week to keep campaigning! 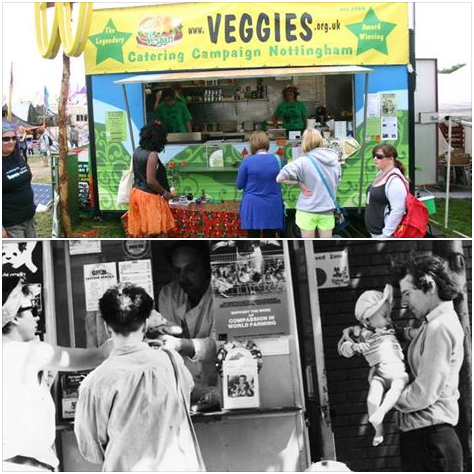 For over 25 years Veggies has supported hundreds of campaigns at thousands of events, but we can only do it with your support – please click the button here or at http://www.veggies.org.uk/about/donate to donate now. You can link back to this page as http://www.veggies.org.uk/about/donate/ or as http://bit.ly/supportveggies. Since 1984 Veggies has been pleased to support the work of Vegfam in ‘feeding the the hungry without exploiting animals’. The fragile environment cannot support two populations – humans and their food animals. Vegfam raises funds to eliminate hunger, thirst, malnutrition, and starvation, helping people in over 40 countries, by financing sustainable, self-supporting plant food projects, fruit and nut tree planting, irrigation and water wells. You can help us to help Vegfam by using the Everyclick search facility, to raise funds for Vegfam whilst surfing the web.